You've built a beautiful home! Enhance its value with the perfect finishing touch. 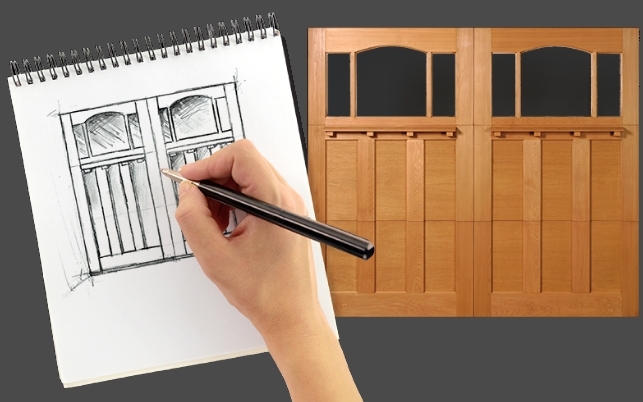 authenticity, and quality of a carriage door constructed a century ago, yet functions using the latest modern technology. We Can Design A Beautiful Custom Garage Door that will provide a atractive finishing touch to your home. 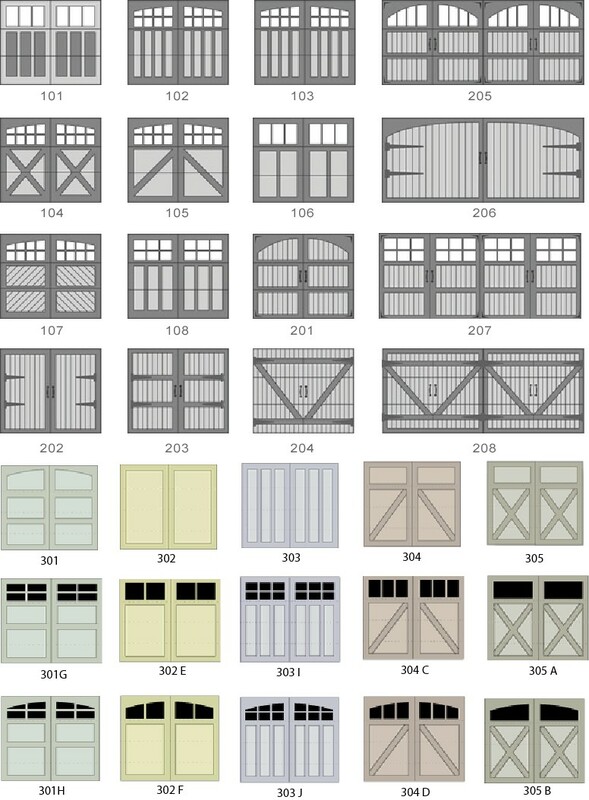 Here are only some of the garage door design and window options. bonded to the facing with exterior adhesive and galvanized pin nails. Other options include redwood, fir, or other specified select woods.